Thatphanom Place is located 300 metre away from Phra That Phanom Temple. 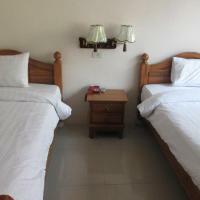 It offers comfortable rooms with free Wi-Fi and the convenience of an on-site restaurant and a laundry service. Mekhong River is just 1 km away from Thatphanom Place. That Phanom Hospital is located 1.5 km away. On-site parking is available for guests who drive. Simply furnished rooms are equipped with air conditioning, a TV and a refrigerator. En suite bathrooms come with hot and cold shower facilities. Guests enjoy free coffee and bread served at the residence from 06:00-10:30 hrs. For meals, sample a variety of Thai and western cuisines offered at Sister Restaurant. Located just 200 metre away from Phra That Phanom, Pornnarumit Hotel offers comfortable rooms with en suite bathrooms. It boasts a 24-hour reception service and free Wi-Fi, which is available throughout the hotel. Pornnarumit Hotel is located 50 km away from Thai–Lao Friendship Bridge. Nakhon Phanom Airport is a 1-hour ride away. 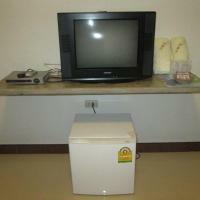 Simply furnished rooms are equipped with air conditioning, a TV and a refrigerator. En suite bathrooms are fitted with shower facilities. For convenience, the hotel offers on-site parking and a laundry service. Guests can make use of meeting facilities as well. For meals, enjoy a variety of local dishes served at many restaurants located within a 5-minute walk away.